This anime classic takes a trip into the realms of adolescence, to take a deeper look at the world itself. A film is a form of art, no matter how it presents itself. You can use the depiction of a narrative to tell great stories about the world, and how emotions and issues all come to fruition in the everyday life of the human species. Whether your story takes place in our reality or a different world altogether, it contains the heart and passion of a human that faces the same problems that we do. Spirited Away is one of the most renowned anime films of all time. Directed by the incredibly acclaimed Hayao Miyazaki, this movie uses the themes of your typical coming of age tale and combines it with sprinkles of a supernatural fantasy world in order to make statements on human emotion and the world we live in today. Its messages and tone resonated all over the world, winning Best Animated Feature at the 73rd Academy Awards, as well as a slew of others around the planet. In this article, we are going to delve into the themes of Spirited Away in order to signify how special this film truly is. We are going to look at the emotions conveyed, and the symbolism used throughout this classic, and try to showcase the dense amount of importance and significance that this story has in art today. Centered around the misadventures of protagonist Chihiro Ogino, a 10-year-old girl, Spirited Away is Hayao Miyazaki’s 6th feature film with the famed Studio Ghibli. Chihiro finds herself intertwined in a world of supernatural happenings after a wrong turn lands her and her parents in a strange, empty township. After becoming lost, the trio stumbles upon a deserted food house, and her parents, amazed at the sight, begin to eat greedily. Chihiro, feeling unnerved, wanders before being startled by a young man named Haku, who tries to explain to her that she’s in danger. Haku warns Chihiro that she must leave before sunset. When Chihiro returns to inform her parents, they have transformed into giant, clothed pigs. Afraid and now trapped in the spirit realm, Chihiro relies on Haku for guidance. He brings her to the bathhouse of infamous witch Yubaba in order for her to earn the freedom of her parents so they can return to the human world. Chihiro is placed under the watch of Kamaji and renamed Sen as she begins her new life as a bathhouse girl, hiding her mortality from the rest of the spirits and demons. One of the most appealing parts of Spirited Away is that it’s filled with symbolism and themes that allude to much bigger conversations. This movie doesn’t only use the supernatural and unique factors of a fantasy world to entertain you, but also to convey messages about everyday life. Adolescence is one of the strongest themes of Spirited Away, as it centers around Chihiro, who is a young adolescent. As a teenager (as you most likely know), it can often be hard to find a sense of identity throughout the limitations of still technically being a child. Chihiro’s feeling of entrapment whilst in the shadow of her parents makes her feel lost. Spirited Away best details the process of moving away from childhood into a place of adulthood when Chihiro and her parents are entrapped in the carnival. Gone was the innocence and carefree lifestyle of a child, and here comes the cog-in-a-machine lifestyle of being an adult in a capitalist world. The way that Miyazaki tells this story almost seems like his way of telling the audience to hold onto your youth as long as you can, as the plot in Spirited Away criticizes the false glamorization of adulthood. Miyazaki’s emphasis on childhood and adolescence can also relate to the underestimation of children and their abilities. Chihiro’s parents being kidnapped showcases a role reversal in the plot line and finds the child as the sole responsible entity. The focus on Chihiro as the story’s hero seems to be a commentary on how children can be smart, emotive and independent. 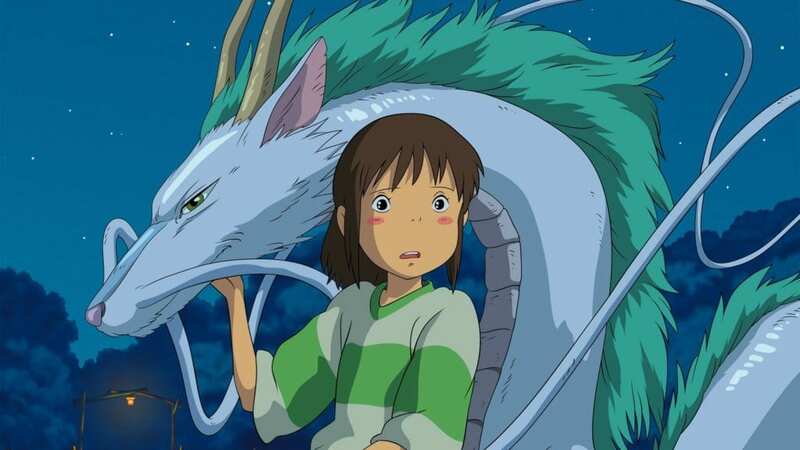 In reference to the development of this film, Miyazaki has stated that he wanted to create something centered around, quoting the man himself, “someone that the audience can sympathize with.” He does this quite successfully with Spirited Away, as Chihiro is someone to whom we can all relate. We’ve all been restricted by our parents and guardians, and there have also been moments where we have had to rise to specific occasions. Miyazaki also uses Spirited Away to commentate on the current state of the earth. Using this fantasy world, he criticizes the industrialization and gentrification of his home country, Japan. Because of the ever-growing population, the beautiful, river-rich lands are slowly being tarnished by plans for apartment complex after apartment complex. In Spirited Away, this fact is symbolized by the presence of both Haku and the Unnamed River Spirit. Both these characters are results of their river homelands being destroyed by apartment blocks. Haku’s intimidating features and the Unnamed River Spirit’s dark, sludgy look are representative of construction defacing the complexion of the planet. These characters demonstrate that, with every concrete slab, the world gets uglier. Miyazaki also criticizes industrialization using the abandoned carnival as a motif. The carnival in many senses represents that gentrifying all of Japan isn’t the answer to improving the country. Chihiro’s dad states that many amusement parks were abandoned during an economic depression, and have been left abandoned all around the country. Miyazaki uses this as evidence that gentrification isn’t necessarily a great idea when it comes to the betterment of Japan, and that it actually tarnishes what people love about it in the first place. To dig in deeper, the predicament that Chihiro finds herself in could be interpreted as symbolism for pollution itself. 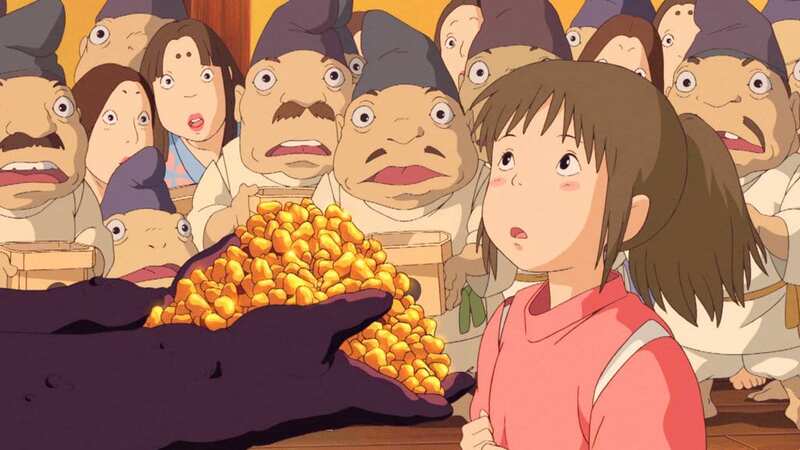 The greed showcased by Chihiro’s parents which land them in the spirit realm could represent the greed found in industrialization, as their greed when it comes to food alludes to the greed found in business and construction. 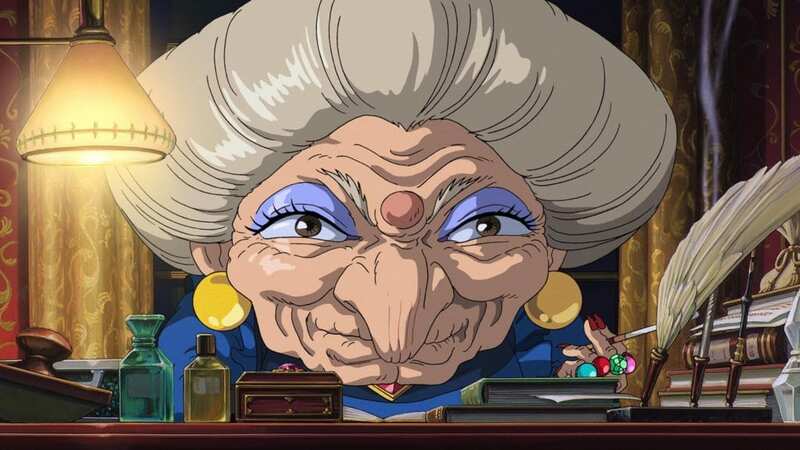 Throughout Spirited Away, Miyazaki showcases the best and worst of humans. This does not only represent the progression of the film’s storyline but really the general consensus of every human being. Perfection is often something we strive for, which can be both a good and bad thing. It can make our hard work seem so much more worthwhile, but it can also make our flaws seem so much worse. By exploring the duality of a person throughout the movie, Miyazaki showcases the layers of a personality. For example, Chihiro’s parents aren’t necessarily bad people, but they do present some bad traits. Using the pig transformation, Miyazaki shows that even your dearest loved ones can have traits of greed and selfishness. Miyazaki even makes the undeniably good characters, such as Haku, contain traits of evilness and bad characters like Zeniba and Kamaji showcase traits of kindness towards the end. By using this theme of duality, Miyazaki attempts to open the audience’s mind to the fact that nobody is truly perfect. What can you learn from Spirited Away? The themes and motifs in Spirited Away aren’t included in hopes of obtaining a SparkNotes page, but to add more depth to the audience’s experience. Because of all these underlying themes and Easter-egg-esque lessons, you can rewatch the movie over and over again. 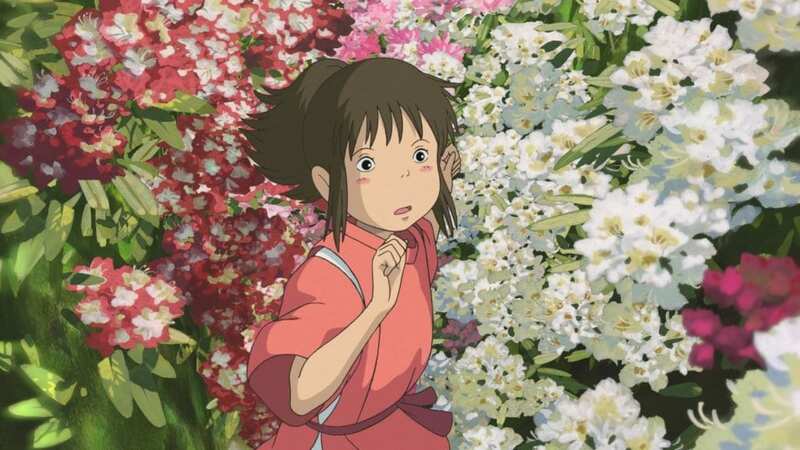 Using the theme of adolescence, Miyazaki tries to use the experience of Chihiro to teach the audience that even children can rise to an occasion of responsibility. The plotline critiques the underestimation of children and their ability to be dedicated and assertive, and it challenges the stereotype that kids are immature. Basically, Miyazaki is trying to teach the audience that, no matter what your age, you possess the ability to thrive in even the toughest of situations. By incorporating topics of environmentalism, Miyazaki makes some stern comments on the ever-ascending factors of industrialization not only in Japan but in the entirety of the world. Using Haku and the Unnamed River Spirit, Miyazaki showcases the effects of pollution, littering and gentrification. After watching Spirited Away, you may never throw your rubbish on the ground again. Using duality, Miyazaki conveys the message that not everybody is perfect. He showcases the good and evil throughout a plethora of characters in order to communicate that everybody has shining qualities, and everybody has flaws. By watching Spirited Away, you may learn to become less judgemental of others, and yourself. Spirited Away is more than just a journey into a supernatural world; it is also a wholesome, important lesson from which everybody who watches it can benefit. Miyazaki attempts to open the mind of the listener with a narrative, as opposed to closing their mind with visual distractions.